Craft beer, tasty cocktails, great food and a nostalgic atmosphere you are sure to love right in the heart of Madison. Best place on Regent Street for game days hands down. 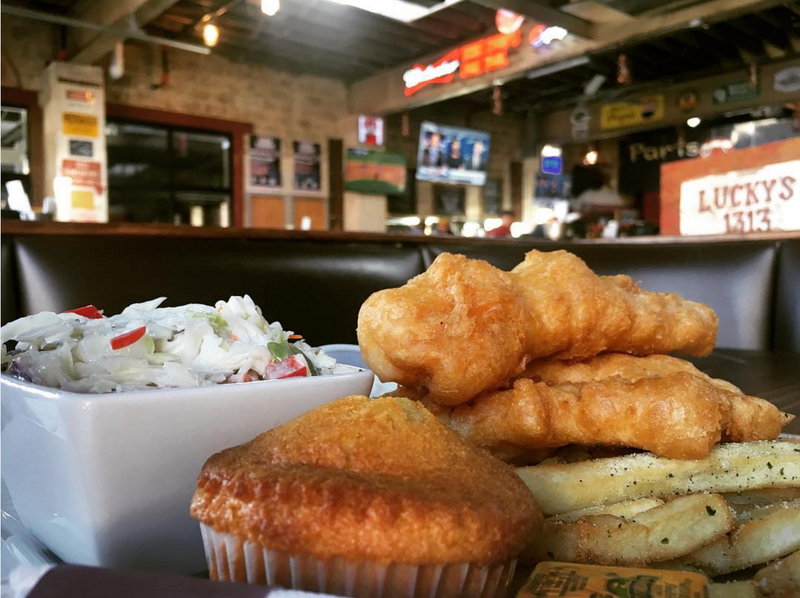 Lucky’s 1313 is the complete package – great food, awesome atmosphere and large drink selection! Definitely will recommend it to my friends and colleagues as a fun watering hole nearby campus! My new favorite bar! Awesome atmosphere, great mix of beer on tap and excellent food. The open space with the garage doors in front and back is a great touch. This will be a must stop for game day and Packer Sunday’s. Gift cards are now available in any denomination and make great gifts for students and sports fans! Our gift cards do not have an expiration date so use them right away or at your convenience. You can either stop in and purchase a gift card or call Lucky’s at (608) 250-8989 and you can purchase a card over the phone with a credit card and we will mail you or the recipient the gift card. Click here to view or download the 2019 summer volleyball registration form. 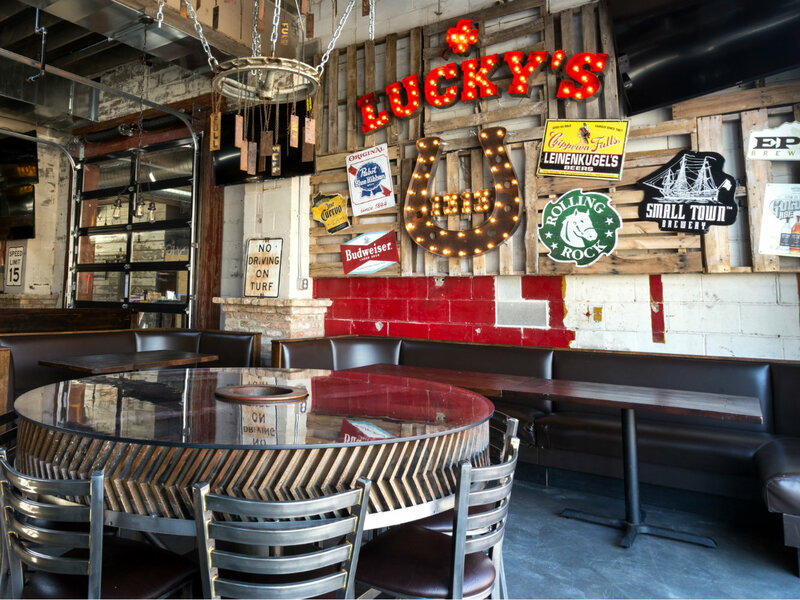 Want to have your party or event at Lucky’s 1313? Contact us at 608.250.8989! If you are looking to host a large party or event please click here to check out 13thirteen, our event venue which is attached to Lucky’s 1313. 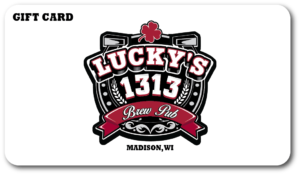 To apply for employment at Lucky’s 1313, please click here to download an Employment Application and email it to luckysmadison@gmail.com.